Earlier this year, we launched our new digital platform for the Airport Industry: DAP (Digital Airport Platform). This all-in-one digital solution drives smart passenger journeys at airports worldwide. DAP responds to the importance of communication between the airports and their passengers. The past few months have flown by and we were fortunate to help multiple airports with their digital transformation. In the meantime, we have been able to work steadily on the DAP brand allowing us to take the platform to the next level. DAP represents service. We start and end with the customer. That’s why we identify with the golden age of flying: The 50s and 60s. What is so enticing about the golden age of flying? It’s an emotional bond with high standards in aviation. Everything about aviation was still special. It was a time of glamorous air hostesses, gourmet meals, and of great leg room for all. Forget about economy, economy plus, business class and first class, initially there was only one class - and it was pretty luxurious. 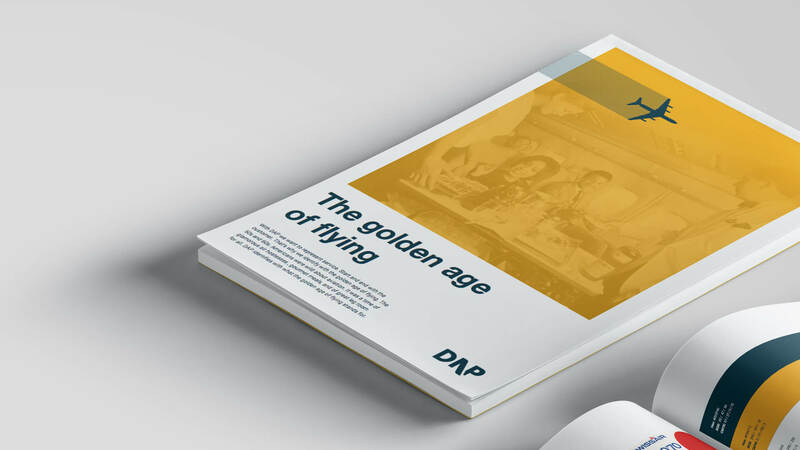 DAP and the golden age of flying share their way. 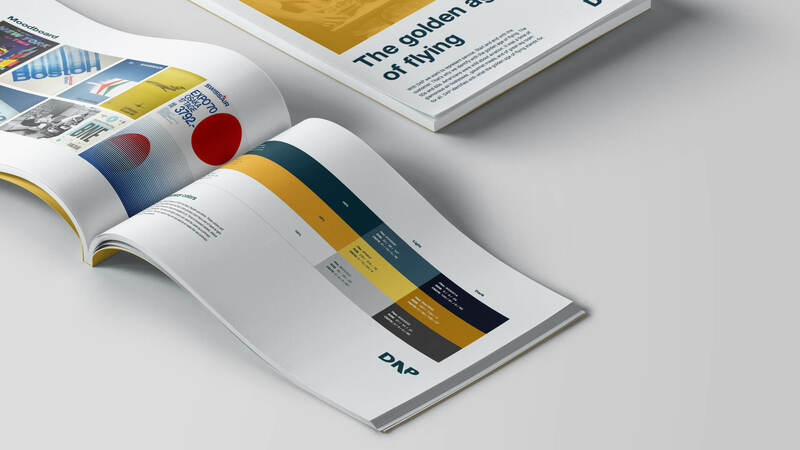 To mix and match the emotional and visual identity to the time and age of then and now, DAP’s brand elements are based on a combination of ‘the golden age of design’ and standards we rely on to this day. The most important expression of the DAP brand identity is the word mark. A literal abbreviation of Digital Airport Platform in which the A is replaced with an airplane tail wing to give a wink to the aviation industry. On the 4th and 5th of December will be attending the Airport IT & Security event at Amsterdam Airport Schiphol. We will be happy to show you some of the most important features of our platform through a live demo. Come visit us at Stand 22 and try out the iOS demo app to explore all DAP features yourself. Delighting travellers the Dubai way. That’s what Dubai International’s new DXB brand is all about. The new branding has been introduced through all channels, both on- and offline. The rebranding also includes the introduction of the completely renewed app.